Portable Air Purifiers There are 5 products. 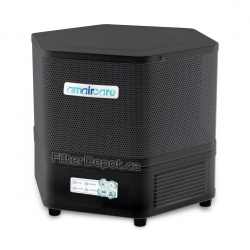 Amaircare Roomaid Mini is a shorter version of Amaircare Roomaid portable air purifier with Amaircare Roomaid Mini Snap-on HEPA filter and VOC cartridge for residential, office and automotive air cleaning applications. 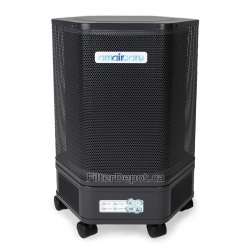 Amaircare Roomaid Multi-Purpose Portable Air Purifier with Amaircare True HEPA and Carbon filters is Amaircare's most popular compact air purifier for residential, office and automotive air cleaning applications. 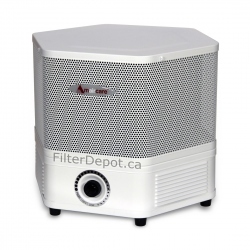 Amaircare 2500 is an original Amaircare 2500 portable HEPA air purifier with Amaircare molded HEPA filter and a variable speed control for all purpose air purification in large rooms up to 675 sq. ft.
Amaircare 2500 Easy-Twist is an evolutionary Amaircare 2500 original portable air purifier with Amaircare Easy-Twist HEPA filter and a new touch-pad control for medium to large rooms. 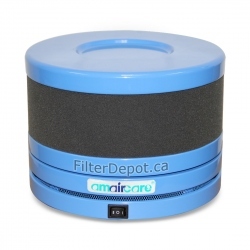 Amaircare 3000 is an Amaircare 3000 original portable air purifier with the Amaircare Easy-Twist HEPA filter and a new digital touch-pad control for a very large room.